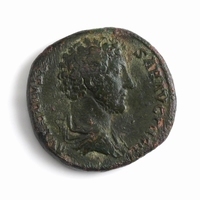 Obverse: Radiate head to right. Legend: IMP CAES M AVREL ANTONINVS AVG PM. 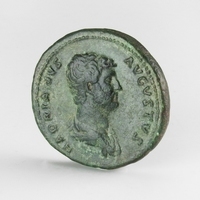 Reverse: Marcus Aurelius and Lucius Verus standing facing, hands clasped, Aurelius holding scroll; S C in fields. Legend: CONCORD AVGVSTOR TR P XV.